Detail of Hypnos from a painting depicting the tale of Leda and the Swan. 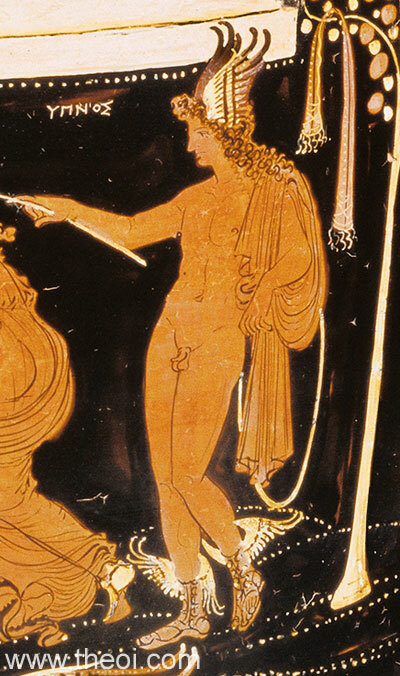 Hypnos, the god of sleep, is depicted as a naked, long-haired youth with winged boots and a winged brow holding a (yew?) branch. In myth his wand dripped with the somnolent waters of the river Lethe.